Top 100 Baby Names in Scotland, 2007 From the General Register for Scotland-- top 100 names with ranking changes from the previous year. Scottish Name Resources This is a very nice list of links devoted to mainly Scottish first names. Scottish Forenames: a site devoted to Scottish first names. Lots of good history. Scottish Names 101: the history of first names in Scotland, and how to choose one if you are joining a medieval history reenactment group. Scottish Genealogy research If you are serious about finding your Scottish ancestors, these people will get on the trail. Scotroots.org is an ancestor service complete with "historic photos and maps, and offering a no-find no-fee policy on ancestor searches." The Clan Finder This is a good resource for finding web pages devoted to the Scottish clan your surname is a part of. 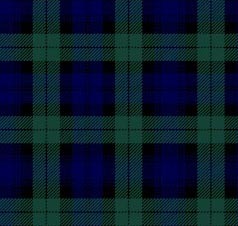 Scotland.net Tartans Here is an illustration of every tartan you could ever wish for! Clans and Tartans of Scotland The name is pretty self-explanatory! Dictionary of the Scots Language-- a 22-volume dictionary online! Scottish Dog Names Looking for a name for your Skye terrier or sheltie? Look no further! Gaelic.net Forum Here is a forum for the Gaelic Language. Post your questions here for real language buffs and native speakers to answer! Links to Gaelic Lessons This is a page from Scotland's Sabhal Mòr Ostaig, a Gaelic speaking university. It has links to various Gaelic Language lessons. Genuki.org has a nice page devoted to Scotland in general. The General Records Office for Scotland has statistics on various aspects of Scotland. It also has a section devoted to researching your ancestors. RootsWeb.com Is a great all-encompassing site to help you track down your ancestors. Social Security Death Index This is an interactive feature that lets you search a database of resident aliens and US citizens. Surname Web Lets you look up your ancestors by last name. Ancestry.com hosts family trees-- you can make your own and then see if it connects to anyone else's. Genealogy.com This site has a lot of stuff that you have to pay for. However, they have a good list of links to other sites. If you are a real die-hard and don't mind forking over the cash for services, this is probably one of the best sites at which to do it. Death Records - Find death records for lost loved ones, cemetery information, obituaries and more all online. Behind the Name has a very good database of names, with origins and meanings. Many true name connoisseurs hang out on their bulletin board as well. The BabyZone This is a good source for ideas for names. They also have the best list of the most popular names in the USA for 1998. Babynames.com is another good resource for baby names on the Web. They have the best baby names bulletin board around as well. Unusual, Unique and Creative Names Here is out other baby--a site devoted to finding the perfect unusual name. It gives names lists, tips on unusual spellings and other modern naming trends. It also has some fun interactive features! The Baby Place This site has a number of links to baby names pages, as well as a ton of links to other baby related sites. Ceolas is the best resource for Irish, Scottish, and other Celtic music on the Web. On-line Celtic Language Dictionaries Here is a collection of dictionaries for various Celtic languages. UNC Chapel Hill has a nice, scholarly site devoted to Celtic art. Be sure to see the Celtic Art and Illumination site. Free Celt has clip art, tattoo designs etc. Celtic Art and Retro-Futuristic Designs: the name says it all. Graphics on mugs, t-shirts etc.